Recent releases highlight jazz artists’ deep familial connections. Some celebrate their forebears and some present family members performing together. 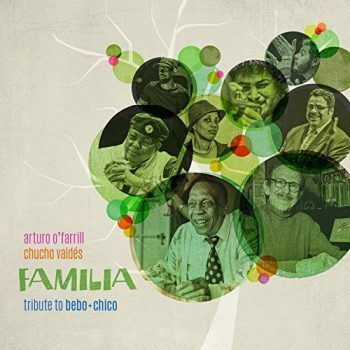 On the double-CD set, “Familia: Tribute to Bebo & Chico” (on Motema), Arturo O’Farrill and Chucho Valdés pay tribute to their late fathers Arturo “Chico” O’Farrill (1921–2001) and Bebo Valdés (1918–2013). They represent two of the leading dynasties of Afro-Cuban jazz. On the set, Chucho and Arturo even bring in their own talented children: pianist Leyanis Valdés, drummer Jessie Valdés, trumpeter Adam O’Farrill and drummer Zack O’Farrill. The biggest surprise is a stunning guest spot by sitarist Anoushka Shankar, daughter of Ravi Shankar, on “Raja Ram.” This fits in with the family theme and the musical cross-pollination is successful. The set contains one CD featuring the Afro-Latin Jazz Orchestra and the other the Third Generation Ensemble. The songs are a mix of classics by Bebo (“Ecuación” and “Con Poco Coco”) and Chico (“Pura Emoción” and “Pianitis”), plus originals by their sons and grandsons. Jazz is filled with many sibling acts, from the Anderson Twins to the Jensen Sisters and the Three Cohens. 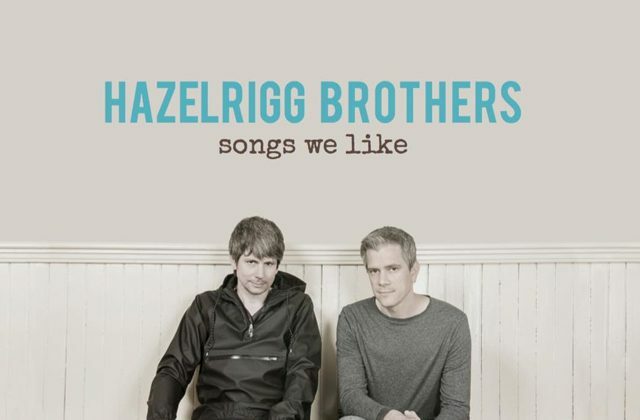 You can add to the list the Hazelrigg Brothers, who have just released their first album, “Songs We Like.” George plays piano and Geoff is a bassist and they are joined on the CD by drummer John O’Reilly Jr. While their makeup suggests a traditional piano trio, their work sounds utterly fresh. First, instead of playing songs from what is known as the Great American songbook (pieces from the 1920’s to the 1950’s), they choose mostly later pieces that are new to the jazz canon. They also perform two classical pieces, a soulful version of Bela Bartok’s “Evening in the Country” and an energetic rendition of the baroque “Passacaglia” by Johann Caspar Ferdinand Fischer. As with other important jazz artists, the Hazelriggs re-conceive each of the songs. Thus, pieces by Ian Anderson, Jimmy Page/Robert Plant and Walter Becker/Donald Fagen and others fit nicely into a jazz groove. While the originals weren’t necessarily songs that meant anything special to me, these performances completely win me over. The CD, recorded in the brothers’ home studio, is also exquisitely engineered. 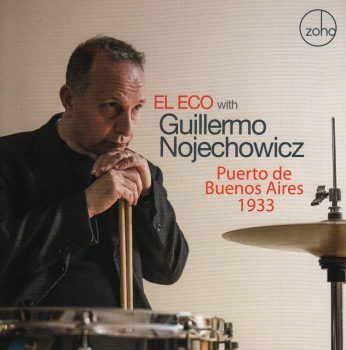 The new album by Buenos Aires-born drummer/composer Guillermo Nojechowicz is a tribute of a different sort. “Puerto de Buenos Aires 1933” (on Zoho) is a musical recreation of his grandmother’s escape from Poland at the time of the rise of the Nazis and her safe arrival with Guillermo’s father in Argentina, where the family remained. Nojechowicz had studied film scoring at Berklee College of Music and the album resembles a jazz movie score. The music is played by the El Eco ensemble featuring Argentinean bassist Fernando Huergo, Brazilian pianist Helio Alves, Italian saxophonist Marco Pignataro and New York Voices co-founder Kim Nazarian. Guest trumpeter Brian Lynch adds excitement to “Puerto de Buenos Aires,” “The Possibility of Change” and “Friday Night Mambo.” Italian accordionist Roberto Cassan brings a tango feeling to “Para Los Ninos” and “Europe 1932,” which transcends his own family’s situation to suggest the larger tragedy throughout the continent at the time. “Puerto de Buenos Aires 1933” is an ambitious and powerful work. Barry Bassis has been a music, theater, and travel writer for over a decade for various publications, including Epoch Times.